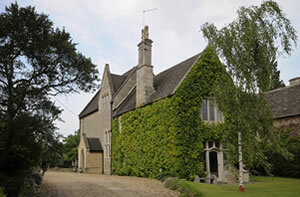 Top floor of 19th century former rectory in East Northamptonshire, secluded village location, Bed and Breakfast. Consisting of sitting room, double bedroom with en-suite shower room and kitchenette, all decorated and furnished to a high standard. Corby 9m, Kettering 9m, Huntingdon 15m, Peterborough 19m. Northampton 20m. A14 access 1m. Local services 1m. Large fully furnished sitting room with rural view, 32" LCD TV with freeview and HDMI socket. Bedroom, with 4'6" double, storage and furnishings. En-suite shower room. Fully fitted out and equipped kitchenette with fridge, microwave etc. Off road car parking. Use of garden, shared entrance with M/F owners. £70 per night double. £45 per night single.